Co-founders of CASK Liquid Marketing, Richard Herbert and Stuart Ekins, are set to launch a new range of privately owned spirit brands under the company name of Cremorne 1859. 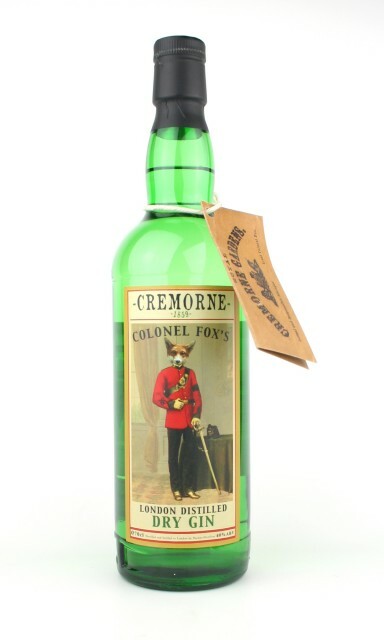 The first of these, “Colonel Fox’s London Dry Gin”, will be available from June, to both the on-trade and selected retail partners. The brand is collaboration between Richard and Stuart, Charles Maxwell, owner of Thames Distiller’s, and the artist Charlotte Cory, who is responsible for the delightfully quirky artwork and anarchic design of the label. Made from a classic London Dry recipe, Colonel Fox’s uses six botanicals, including a healthy hit of juniper, with a sweet back note of liquorice. The whole process of maceration, distillation, and bottling takes place in London, and the gin is produced in batches of 1000 bottles.